3 easy ways to make your front yard the best in the neighborhood! Your front yard should be a reflection of your personality and home — it’s what passersby and visitors alike see first, after all! And the right plant and design choices won’t just draw attention, they’ll increase the value of your house! 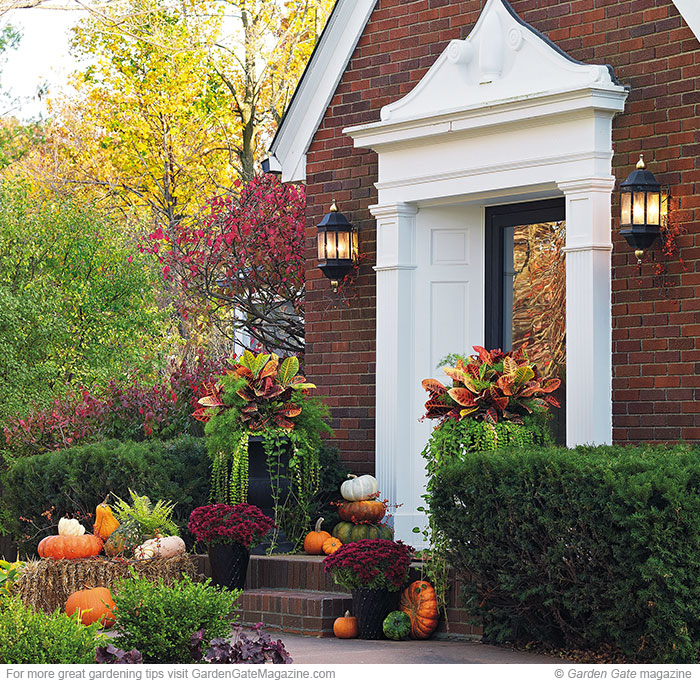 Click ahead to find out what makes this entryway so eye-catching then use the same tips to make sure you’ve got the curb appeal you want. This mill work adds contrast to the front door, making it noticeable all the way from the street. Choose a style that complements your house the way the faux columns enhance the formality of the brick home here. And you can depend on white, or any light color, to brighten up the entry at night, too. These statement containers are another way to draw the eye. Croton’s multi-colored leaves are perfect for fall combos. Plus the bright hues echo the colors of the pumpkins decorating the stairs. 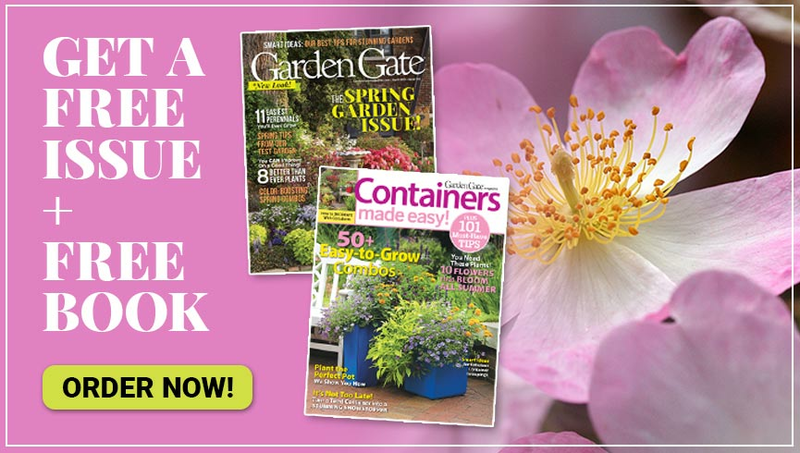 Pick other plants that have long-lasting color or ones you can easily change out of the container with the seasons. Evergreens work well in the front yard because they stay green year-round. 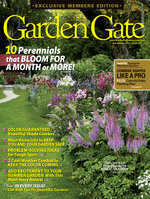 If you’re worried about frequent pruning, plant a dwarf variety that won’t outgrow the space. 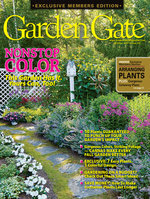 And you don’t have to limit yourself to green: Choose blue, chartreuse, yellow or variegated types for even more color. Learn the simple but surprising secret that makes this backyard look bigger. Screen an unwanted view and make the most of your privacy fence with these tips!